from the opinoins, i think n82 gives better option compare to n78. any idea guys? pls dont buy n78 just for the FM transmitter.. im telling.. you will regret big time.. you will get fed up of that in one month max..
buy it for the music quality..
buy it for the headset with remote..
buy it for the looks..
buy it for the FP2..
buy it for the navi-wheel(TM)..
buy it for the BATTERY (best in the business?).. buy it for the 22hr continous music playback..
if you aint buying the phone for the above stuff then pls move on to n82 or n95.. these phones have all the features which n78 also has except those mentioned above.. there is no doubt abt that..
i knew something was wrong.. haha! The N96 you see in the internet and the N96 that has been reviewed by many sites are all pre-release, prototype versions. The true, real N96 that will actually be released in the public in November is still in the process of harnessing and engineering. Trust what the Nokia product manager said that N96 has great audio quality, not what every site is telling - they don't get the actual unit. I cannot view the 360-degree view here in GSMArena because I'm only using Opera Mini browser in my phone. I'm beginning to like N78 now that I'm having a clear idea of what FM Transmitter is. It's cool. I don't think N96 is worth buying..If u can afford N96, then u should get N95 8gb instead..because N96 only wins N95 in terms of FP2 and DVBH..N95 8gb looks really good, more so in real life..N96 looks dull..and mobile-review even says that N96 has worse sound quality..for me, I'd get the N78, if its a little more expensive than N81..the N78 is perfect for me! as I use my phone as main music device and the 3.2mp camera is a plus for me..I'd buy the N81 if only its build quality is a little better, and if its not so overpriced..
did u see the new 360 degree view. there is some white half piece stuck on the back cover with n-series logo put on it.. whut the hell is that all about??? doesnt it look wierd? or is there some kind of mistake.. i think the arena team is now reviewing the phone because they already put in a video too (but that white piece is not in the video) and now the 360 view..
"A new feature, the FM Transmitter, is a nice addition. Just activate it, set the desired frequency and all of the music and videos you played will be broadcasted on all radio receivers nearby. It could be another FM supported phone, an FM stereo or even your car radio pumping out surround sound music from your Nokia N78. Reception is good up to 10meters but can extend up to around 15-20m at LOS." Anonymous, 02 Jun 2008Any idea if the US version is available? For example, I went to PhoneSource-USA (side link) a... moreThe US version is supposed to come out 2-3 weeks after the global version. I have a feeling it might be july or later before we see it. I'm debating whether to wait for it or not. Canada's data rate plans are super expensive and wifi will work just fine for me. Any idea if the US version is available? For example, I went to PhoneSource-USA (side link) and they only have the Europe/Asia version (900/2100 HSDPA, not compatible in US 3G) Same goes with hi-mobile.net, I asked the sales people, same spec. No US version yet. After all we've not seen a review of a Nokia phone from GSM arena since April and it was the cheap 3500c. What's going on with the Nokia reviews?? 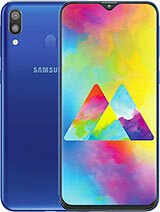 C'mon GSM arena we want a review of this phone!! Is it much to ask??? Anonymous, 02 Jun 2008If you're comparing N78 to N96, you're like comparing N81 to N95. N96 has all the features of ... moreYou're right! N78's battery life is better than that of N96s'. If you're comparing N78 to N96, you're like comparing N81 to N95. N96 has all the features of all the Nseries. You name it. N96 has got it all (except the optical zoom of N93 and Xenon flash of N82.) I'm not really sure if N96 also has FM Transmitter like N78, but for sure N96 has the Naviwheel of N81/N78, dual slide mechanism of N95, dedicated music and gaming keys of N81, DVB-H chip of N77/N92, dedicated audio chip of N91, and all the technologies we already know (no need to enumerate them all). The only advantage that I can think of N78 has over N96 is its 1200mah battery. That's all. Thank you. ceejay80s, 02 Jun 2008With the DBV-H technology,the N77 is better than N78I don't agree with the term 'better'. As you know, each Nseries phone offers a special feature. N77 is meant for DVB-H. N78 on the other hand is for photos (3.2 mp AF camera), music (3.5mm audio port) and WLAN. Do you see those features in N77? Hell, no! N82 is more good looking than N78. N78 looks cheap. N82 looks more costly.